Hapag-Lloyd is pressing shipowners for a hefty cut in charter rates as part of a rescue package similar to the one negotiated in May by Chile?s CSAV. Hapag-Lloyd is pressing shipowners for a hefty cut in charter rates as part of a rescue package similar to the one negotiated in May by Chile"s CSAV. The carrier, which is in desperate need of fresh capital, has sent a ?me too? letter to tramp owners saying that it wants to discuss a reduction of charter rates, Hapag-Lloyd spokeswoman Eva Gjersvik confirmed. According to owners, Hapag-Lloyd referred to the bail-out of CSAV by German owners when asking for the same level of help. In late May, a number of owners agreed to cut CSAV"s charter rates by 36% over the next two years in return for equity stakes. Brokers said they understand Hapag-Lloyd had requested identical concessions. As the latest effort to save Hapag-Lloyd emerged, the city of Hamburg said it was ready to offer a financial lifeline. Hamburg, the shipping line"s second biggest shareholder after tourism group Tui, will support the company, Christian Democrat lawmaker Barbara Ahrons told. She said city politicians would probably back a cash injection in stages worth up to ?170m ($241m) to help the container line. However, that would be conditional on Hapag-Lloyd"s shareholders also contributing. The struggling Hamburg carrier is not the only one asking German owners to help them through this cash flow crisis. ?They"ve all been through Hamburg,? said one broker, ticking off a list of prominent names thought to be pressing for lower charter rates. In Hapag-Lloyd"s letter dated June 24, the management argued that the CSAV deal would pose a competitive disadvantage for the German carrier. 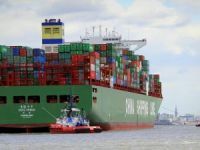 Such a move by a CSAV competitor was anticipated by industry insiders as a possible result of the Chilean carrier"s rescue, and one reason why containership owner Seaspan is thought to have declined to participate. 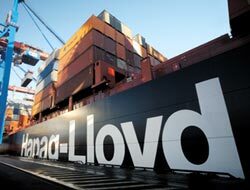 Hapag-Lloyd is mostly chartering on a short-term basis, according to Ms Gjersvik. ?We have renegotiated some charter parties that were made some time ago,? she disclosed. It was not unusual these days for lines to renegotiate charter contracts, Ms Gjersvik said. She said that she would reveal the size of charter rate cuts obtained so far. ?We think that the CSAV deal leaves us with a competitive disadvantage,? Ms Gjersvik added. 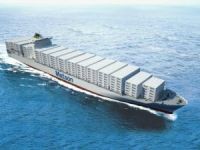 However, discussions concerning the requests set out in Hapag-Lloyd"s letter are still continuing, with no agreement thought to have been reached yet, sources said Friday. According to ci-online data, Hapag-Lloyd operates 128 vessels of which 56 ? with a combined capacity of 183,000 teu ? are chartered. 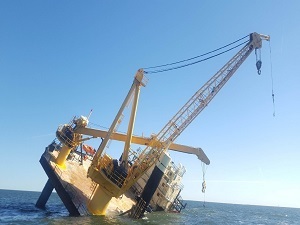 Major providers of charter tonnage to Hapag-Lloyd include shipowners Bertram Rickmers, Peter Döhle and Norddeutsche Vermögen, none of which would comment on the reports. Hapag-Lloyd, the world"s sixth largest box line following its acquisition of CP Ships, is in urgent need of a capital injection. Without financial aid from its shareholders, the line would face bankruptcy within weeks, industry insiders said. 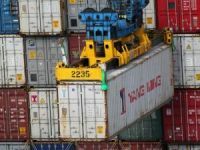 Cost-cutting programmes are already in place and Hapag-Lloyd has announced that it would renegotiate terminal operators" charges for container handling. On a short-term basis, Hapag-Lloyd has managed to find some relief. Shareholders are prepared to come up with some ?300m. 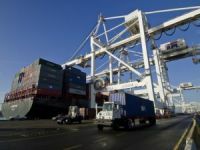 In return, they will receive as collateral Hapag-Lloyd"s stake in Hamburg port operator HHLA"s Altenwerder facility, sources close to the situation said. Hapag-Lloyd owns 25.1% of the ultra-modern container terminal. However, this is still a far cry from the total of ?1.75bn needed by the carrier to survive the crisis, of which ?1bn is planned to come from government guarantees. 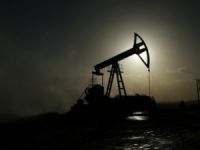 A decision by shareholders on the ?300m is expected for early this week.